Referee Jarid Symens warned mixed martial arts fighters against timidity in a hallway meeting Wednesday evening at the Alaska Airlines Center. It's not a good look to avoid engaging with your opponent, he said, and it's against the Alaska Fighting Championship rules. "Show me you want to be in this fight," Symens said. "You're here to fight." That much seemed clear to the nodding men standing around him. But the reasons why they were there to fight Wednesday varied from fighter to fighter on the opening night of AFC's 15th season. AFC hosts eight events from September to May. All fighters earn pay ranging from a couple hundred to a couple thousand dollars, said AFC owner Sarah Lorimer. But increasingly, AFC draws fighters with big-league dreams. Two years ago, the UFC — the sport's top rung — began distributing video of AFC fights on its subscription streaming service. The exposure draws talented fighters, Lorimer said, including two who came from Oregon for Wednesday's event. "It's kind of like a minor hockey league of MMA," said Lorimer, who has owned AFC for 13 years. "It ups the level of competition here in Alaska. Everybody's chomping at the bit to be seen on UFC Fight Pass, because it's just another gateway to get to the big show." Not everybody is preparing to travel so far. Cole Aquino, 27, has had more than 50 fights in the eight years he's been signing up for boxing, kickboxing and mixed martial arts bouts. This was his seventh with AFC, he said, and when the night wrapped up he'd head to work at Wendy's on Tudor Road a few blocks away. Aquino said he would earn a couple hundred dollars for his fight. Over the years, fighting has given him some notoriety around town. But those things don't motivate him, he said. He likes being part of the community of fighters. Aggression inside the fence doesn't become anger outside of it. In fact, an opponent one month might be his cornerman the next. "Win or lose, I don't really see it as like I have an issue against this person. No, we're going in there to test our strength," said Aquino, who is introduced with his nickname, Cookie Monster. "Most people I've had fights with I've been friends with afterwards. "The fight game is a beautiful thing." 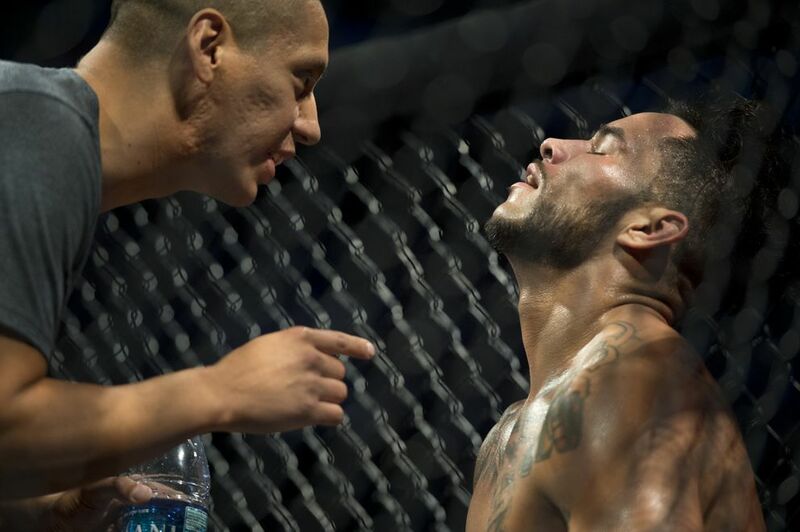 Aquino gave a knuckle-bump to Marv Alexie, a former opponent who was listening to music and breathing deeply as he prepared for his bantamweight bout. Alexie said he was a successful wrestler back in high school in Tuluksak. Now 29, he has a newborn at home in Anchorage, and fighting motivates him to stay fit with the limited time he has. "Most of all it relieves stress for me," he said. "Whatever's on my back." 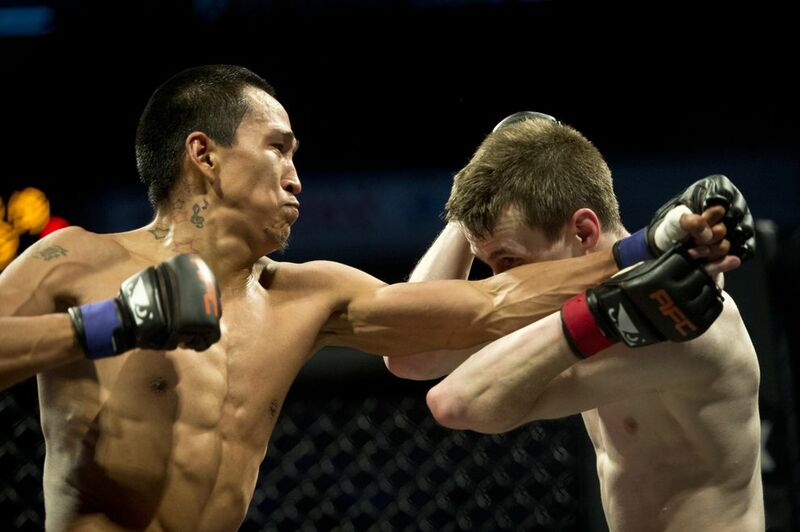 Count Tristin Lowe among the fighters who would love a chance to fight outside Alaska. He hopes it happens at least once. But Lowe, who works part-time at Taco Bell, said AFC competition provides a satisfying rush of adrenaline. "From the moment I tried it, I fell in love with it," he said. Reconciling that love with his other loves proves complicated. "My wife absolutely hates that I do this, but every time she still comes," he said as he watched some of the night's 1,200 fans filter into the arena. "When it comes to people cheering, the only person I really hear is her." Lester Morgan of Wasilla measures success on a different scale. 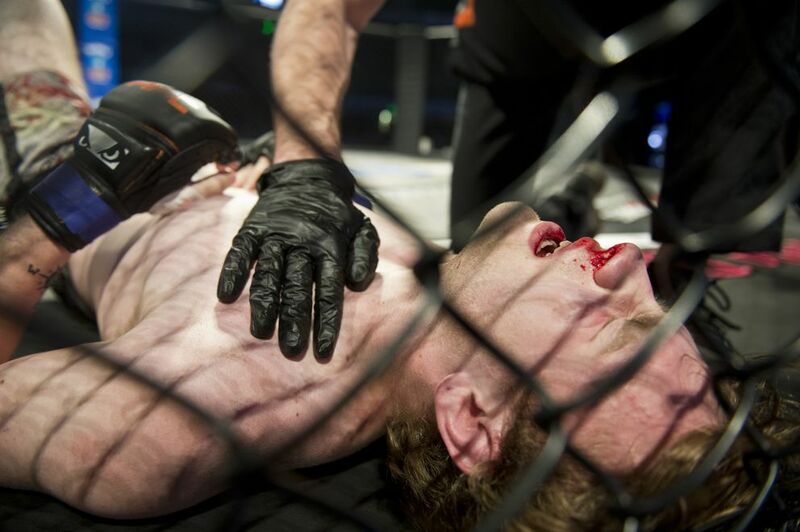 For him, stepping inside the cage at all is a win of sorts, a sign of recovery from injuries from a car accident. Morgan, 39, said he was struck by a drunken driver in 2016. For a while, he was unable to move the right side of his body. "Two years ago when it happened, I was told I was never going to walk again," Morgan said. Wednesday's fight was his third since then, each of which provided a sense of accomplishment no matter the outcome, he said. That was the positive takeaway on an otherwise disappointing night for him. He didn't last long against the heavy hands of Wasilla's Kris Berberich, who knocked him out with a blow to the temple 30 seconds into the first round. "I remember just seeing a flash of light, and then getting up really fast. I was getting ready to put my hands back up and the ref was like, 'No, no. That's it,' " Morgan said. "I didn't argue." Berberich said that's why he's called "Easy Money." 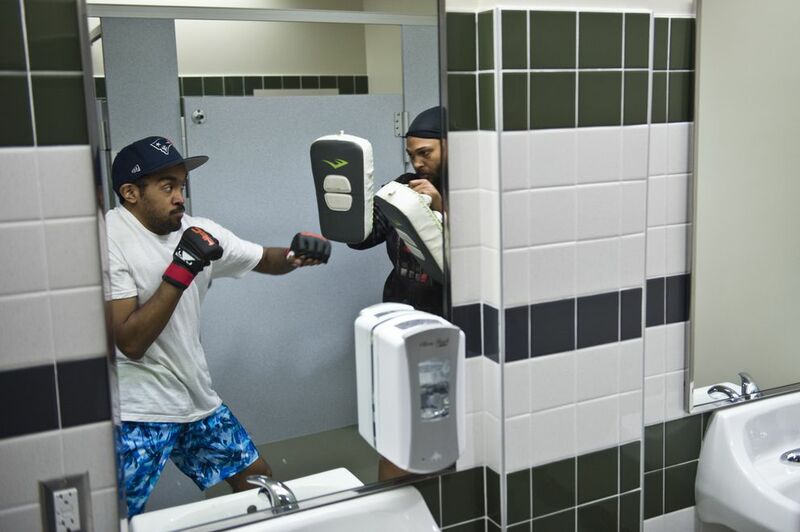 The 21-year-old from Wasilla, trained in Muay Thai fighting, has dreams as big as anyone. Quick work against his competition could attract attention, he said with a smile as he walked back to the dressing room. "I want to go all the way. My future goal is just to be in the UFC, because that's where everyone wants to be," said Berberich. "And that's the plan, eventually."